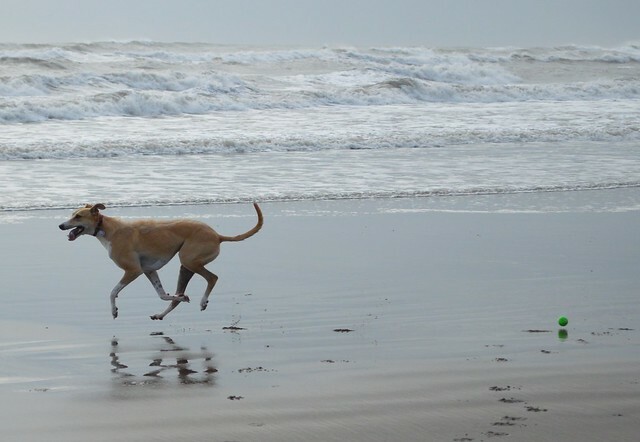 This morning we headed to one of our locals beaches. 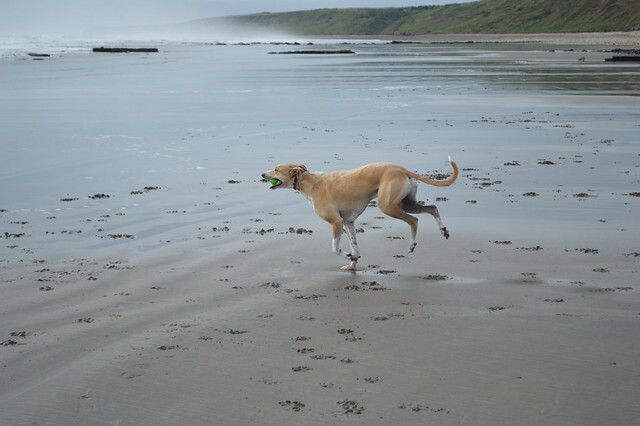 We often go to the Easington Colliery end of Horden Beach because there is a nice long area of sand. 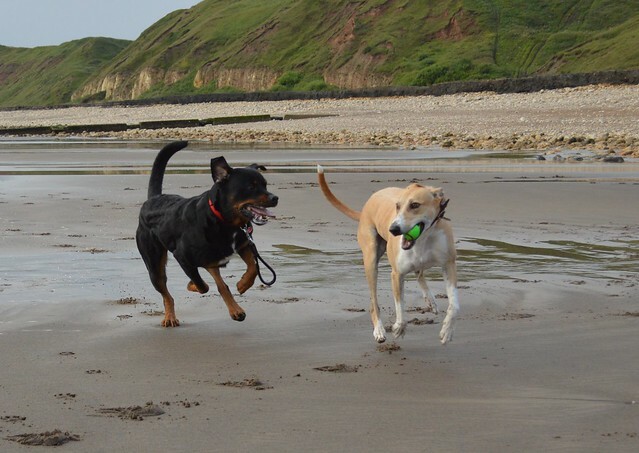 Barley the Lurcher has enjoyed many a run on this part of Horden Beach, but this morning it was the first time for Porter the Rottweiler. 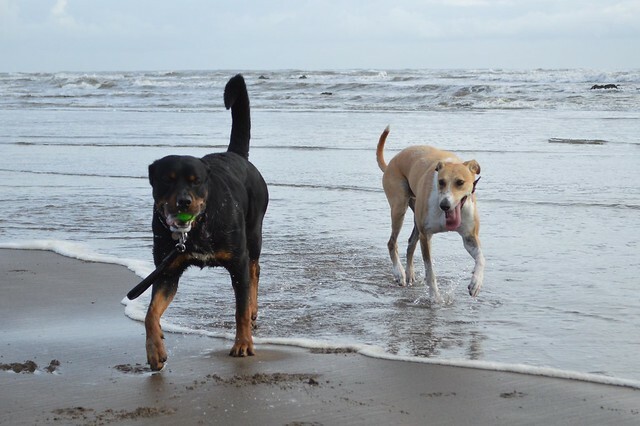 Both dogs had a good run, and enjoyed venturing into the sea. 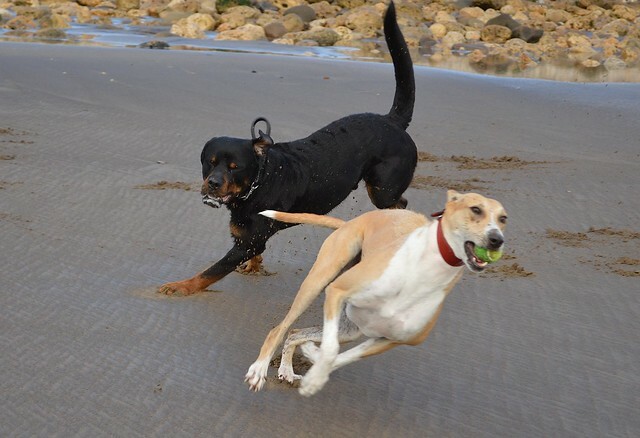 Rather them than me! 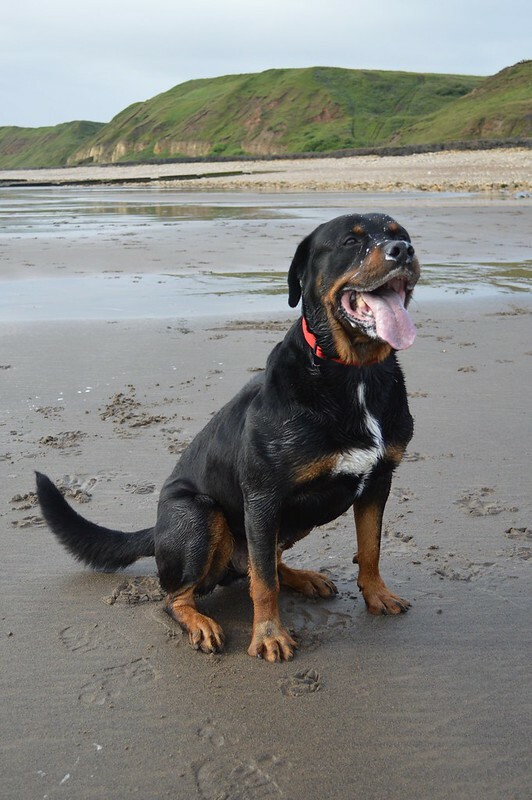 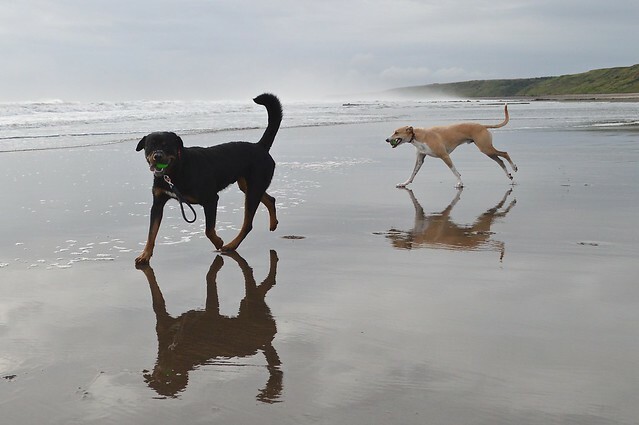 This entry was posted in Barley the Lurcher, Porter the Rottweiler and tagged Horden Beach, Lurcher, Rescue Dog, Rottweiler on July 30, 2015 by Richard.